We create custom health plans to naturally improve your fertile potential, no matter where you are in your fertility journey. We are a team of licensed and expertly trained health practitioners with a special focus on reproductive health. 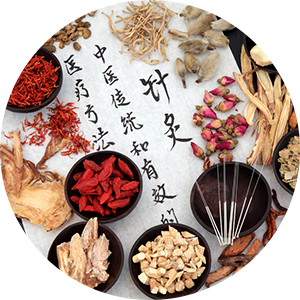 Our Registered Acupuncturists, Chinese Medicine Practitioners and Naturopathic Doctors are here to provide natural solutions to help you achieve successful conception, prevention of miscarriage, healthy pregnancy, smooth labour and delivery, balanced hormones, elimination of period pain and PMS and more. If you have been diagnosed with a specific condition, such as endometriosis, uterine fibroids or PCOS, we can help you with that too. If you are working with a Reproductive Endocrinologist, using IVF or IUI, we will work with you and your doctor to help you prepare your body and make this your best cycle yet! We offer a free 30 minute consultation for all new patients. Whether you’re thinking of trying soon or you’ve been trying for a while and need some guidance, we can help with our natural fertility programs. Perhaps you’ve been struggling to get pregnant but you’re not ready to try IVF yet. Using natural methods such as acupuncture, herbal medicines, nutritional guidance and supplements, we can help you achieve the best chances of conceiving naturally. Whether you’re thinking of trying soon or you’ve been trying for a while and need some guidance, we can help with our natural fertility programs. Perhaps you’ve been struggling to get pregnant but you’re not ready to try IVF yet. Using natural methods such as acupuncture, herbs, supplements and nutritional guidance, we can help you achieve the best chances of conceiving naturally. RESOLVE, the national fertility association the USA reported that 30% of all infertility cases are male factor, 30% are female factor and 30% are a combination of both male and female. This means that the majority of infertility cases involve male factor infertility in some capacity. In situations where both partners are diagnosed with fertility issues, it is important that they both seek treatment in order to improve their chances of conceiving. A woman's reproductive health extends far beyond her ability to conceive and carry to term. The menstrual cycle is a direct reflection of our overall health. If there is disharmony or pain, it means something deeper is going on. Ideally, our periods would be regular, predictable and pain free, with absolutely no PMS. Our team of practitioners is here to help you achieve optimal menstrual health. 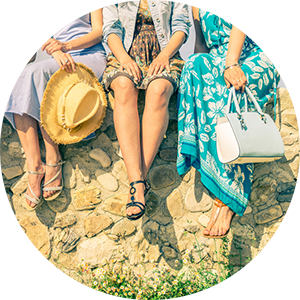 We offer drug-free, non invasive, natural options to help you with your menstrual cycle concerns. Although conception is the one of the most important parts of having a baby, your care doesn’t stop after you get pregnant. Our team of practitioners will work with you in pregnancy to prevent miscarriage, address medical conditions and risk factors along the way and prepare you for a smooth labour, delivery and transition to parenthood. 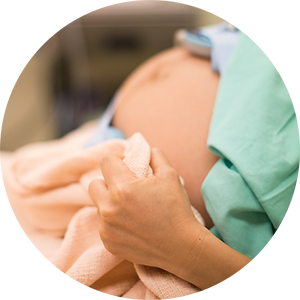 Our team of experienced practitioners will help gently ease your body into labour using relaxing acupuncture treatments. Or you may need a little help getting things started if you’re overdue. We can help with that too! Click the button below to book your complimentary consultation with one of our expert clinicians. This consult is completely free, with no obligation. Simply click the button below to book or give us a call.